That girl looks old enough to be Mark's ... yeah. Lexie's not all that much older. Oh well! 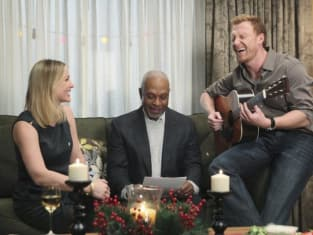 Grey's Anatomy Review: Left in a "Holidaze"